Earn $12.15 in VIP credit (1215 points)What's This? 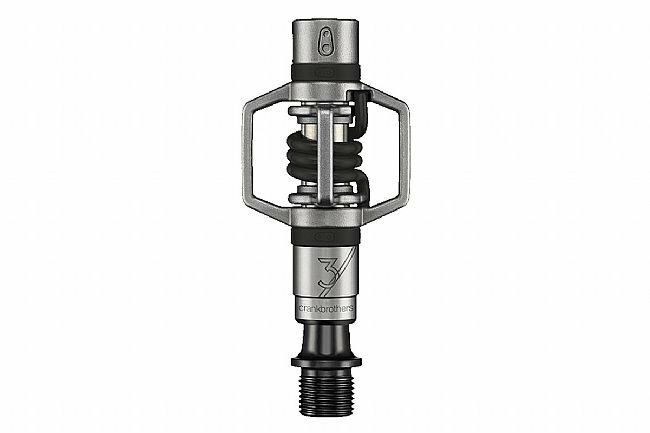 Crank Brothers gives their flagship Eggbeater a facelift in the pursuit of even better functionality and durability. 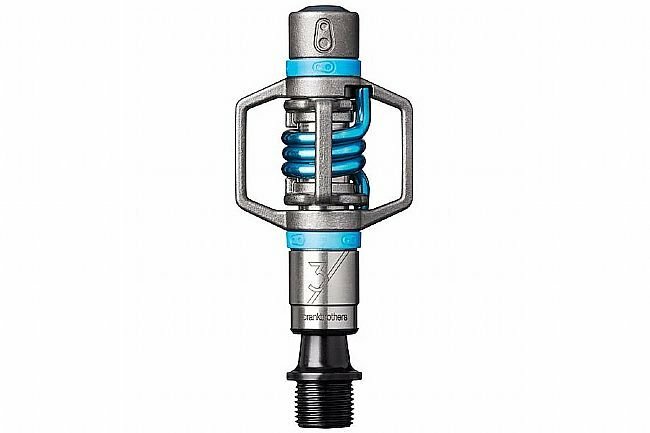 The Eggbeater 3 features a forged scm435 chromoly steel axle with cast stainless steel body and wings. The spring is 300 series stainless steel for long life. 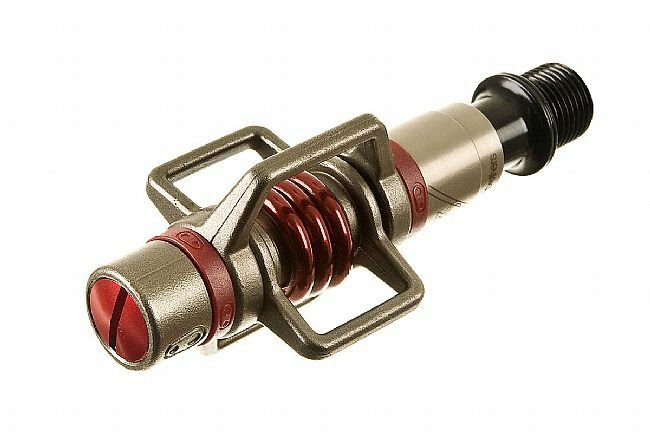 It still has an outer sealed cartridge bearing but now adds an inner needle bearing for better load distribution, longer life, and smoother pedaling. Includes premium brass race cleats with 15 or 20 degrees of float and shims for compatibility with different shoe lug configurations. Compatible with SPD style 2-bolt side to side shoes. 5 year warranty. 280 grams/pair.